Hi everybody! I am now looking for people who can translate this webpage to German language. I have already installed WordPress to german subdomain de.affenknecht.com and now I need native speakers who could help me with all the work. For example stunts, books and many more topics needs to be translated. If you are interested, you can browse the German subdomain (early beta version) at de.affenknecht.com and make comments to topics you want to translate. Write down the translation to the comment and I will make all the necessary works after that. If you mean it seriously, let me know and I can give you the editor access which will allow you to edit the pages directly. Thank you very much for your help in making this page better. 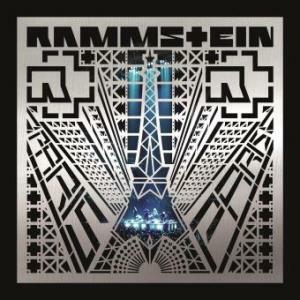 German language is now priority Nr.1 as Rammstein is a German group. Sorry, but I am working on the German Site now. It should be obvious from what I said. Rammstein use a vast amount of pyrotechnics during their concerts. the individual band members wear flame throwers ( lycopodium masks) on their heads or often use smoke and spark throwers during the performance. during the song ‘rammstein’,leadsinger Lindemann sets himself alight – protected by an asbestos coat. even unusual items such as microphones in the shape of a knife (during Mein teil), exploding drum kit and sticks or facemasks reminiscent of disfigurement are being used in some of the acts. for the shows the co-operation of the director and light technician Gert Hof, who frequently works out the stage and lighting concept, is incredibly important to the band. Richard Kruspe said in an interview about the stage production that he enjoys dressing up and disguising himself on stage and he includes all the other band members in that statement. when rammstein were relatively unknown they produced flames through the use of a mixture of gasses in the auditorium. Now it’s traditional for one of the band members to be passed over the heads of the audience, whilst sitting inside a rubber dhingy,at the end of the show. The English into German. Look for example here, only a half is in German, I need the whole page. Thank you. hi, do you want the german site translating into English or the English site translating into german? i can do either but am not quite sure what you want doing? let me know and i’ll see if i can help.